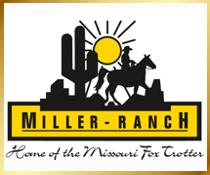 Please note: This copy has been typeset for this website from the original provided to the Missouri Fox Trotting Horse Breed Association, Inc., by the USDA for use in disseminating this information to our Board and Directors and membership. Every effort has been made to assure that it is an exact duplication in wording. Format has been altered somewhat for readability on this website. (1) The term ”management” means any person who organizes, exercises control over, or administers or who is responsible for organizing, directing, or administering. (2) The term ”Secretary” means the Secretary of Agriculture. (4) The term ”State” means any of the several States, the District of Columbia, the Commonwealth of Puerto Rico, the Virgin Islands, Guam, American Samoa, and the Trust Territory of the Pacific Islands. (5) regulation under this Act by the Secretary is appropriate to prevent and eliminate burdens upon commerce and to effectively regulate commerce. (a) The management of any horse show or horse exhibition shall disqualify any horse from being shown or exhibited (1) which is sore or (2) if the management has been notified by a person appointed in accordance with regulations under subsection (c) or by the Secretary that the horse is sore. (b) The management of any horse sale or auction shall prohibit the sale or auction or exhibition for the purpose of sale of any horse (1) which is sore or (2) if the management has been notified by a person appointed in accordance with regulations under subsection (c) or by the Secretary that the horse is sore. (c) The Secretary shall prescribe by regulation requirements for the appointment by the management of any horse show, horse exhibition, or horse sale or auction of person qualified to detect and diagnose a horse which is sore or to otherwise inspect horses for the purposes of enforcing this Act. Such requirements shall prohibit the appointment of persons who, after notice and opportunity for a hearing, have been disqualified by the Secretary to make such detection, diagnosis, or inspection. Appointment of a person in accordance with the requirements prescribed under this subsection shall not be construed as authorizing such person to conduct inspections in a manner other than that prescribed for inspections by the Secretary (or the Secretary’s representative) under subsection (e). (d) The management of a horse show, horse exhibition, or horse sale or auction shall establish and maintain such records, make such reports, and provide such information as the Secretary may by regulation reasonably require for the purposes of implementing this Act or to determine compliance with this Act. Upon request of an officer or employee duly designated by the Secretary, such management shall permit entry at all reasonable times for the inspection and copying (on or off the premises) of records required to be maintained under this subsection. (e) For purposes of enforcement of this Act (including any regulation promulgated under this Act) the Secretary, or any representative of the Secretary duly designated by the Secretary, may inspect any horse show, horse exhibition, or horse sale or auction or any horse at any such show, exhibition, sale, or auction. Such an inspection may only be made upon presenting appropriate credentials. Each such inspection shall be commenced and completed with reasonable promptness and shall be conducted within reasonable limits and in a reasonable manner. An inspection under this subsection shall extend to all things (including records) bearing on whether the requirements of this Act have been complied with. (1) The shipping, transporting, moving, delivering, or receiving of any horse which is sore with reason to believe that such horse while it is sore may be shown, exhibited, entered for the purpose of being shown or exhibited, sold, auctioned, or offered for sale, in any horse show, horse exhibition, or horse sale or auction; except that this paragraph does not apply to the shipping, transporting, moving, delivering, or receiving of any horse by a common or contract carrier or an employee thereof in the usual course of the carrier’s business or employee’s employment unless the carrier or employee has reason to believe that such horse is sore. (2) The (A) showing or exhibiting, in any horse show or horse exhibition, of any horse which is sore, (B) entering for the purpose of showing or exhibiting in any horse show or horse exhibition, any horse which is sore, (C) selling, auctioning, or offering for sale, in any horse sale or auction, any horse which is sore, and (D) allowing any activity described in clause (A), (B), or (C) respecting a horse which is sore by the owner of such horse. (3) The failure by the management of any horse show or horse exhibition, which does not appoint and retain a person in accordance with section 4(c) of this Act, to disqualify from being shown or exhibited any horse which is sore. (4) The failure by the management of any horse sale or auction, which does not appoint and retain a qualified person in accordance with section 4(c) of this Act, to prohibit the sale, offering for sale, or auction of any horse which is sore. (5) The failure by the management of any horse show or horse exhibition, which has appointed and retained a person in accordance with section 4(c) of this Act, to disqualify from being shown or exhibited any horse (A) which is sore, and (B) after having been notified by such person or the Secretary that the horse is sore or after otherwise having knowledge that the horse is sore. (6) The failure by the management of any horse sale or auction which has appointed and retained a person in accordance with section 4(c) of this Act, to prohibit the sale, offering for sale, or auction of any horse (A) which is sore, and (B) after having been notified by such person or the Secretary or after otherwise having knowledge that the horse is sore. (7) The showing or exhibiting at a horse show or horse exhibition; the selling or auctioning at a horse sale or auction; the allowing to be shown, exhibited, or sold at a horse show, horse exhibition, or horse sale or auction; the entering for the purpose of showing or exhibiting in any horse show or horse exhibition; or offering for sale or auction, any horse which is wearing or bearing any equipment, device, paraphernalia, or substance which the Secretary by regulation under section 9 prohibits to prevent the soring of horses. (8) The failing to establish, maintain, or submit records, notices, reports, or other information required under section 4. (9) The failure or refusal to permit access to or copying of records, or the failure or refusal to permit entry or inspection, as required by section 4. (10) The removal of any marking required by the Secretary to identify a horse as being detained. (11) The failure or refusal to provide the Secretary with adequate space or facilities, as the Secretary may by regulation under section 9 prescribe, in which to conduct inspections or any other activity authorized to be performed by the Secretary under this Act. (a) (1) Except as provided in paragraph (2) of this subsection, any person who knowingly violates section 5 shall, upon conviction thereof, be fined not more than $3,000, or imprisoned for not more than one year, or both. (2) (A) If any person knowingly violates section 5, after one or more prior convictions of such person for such a violation have become final, such person shall, upon conviction thereof, be fined not more than $5,000, or imprisoned for not more than two years, or both. (B) Any person who knowingly makes, or causes to be made, a false entry or statement in any report required under this Act; who knowingly makes, or causes to be made, any false entry in any account, record, or memorandum required to be established and maintained by any person or in any notification or other information required to be submitted to the Secretary under section 4 of this Act; who knowingly neglects or fails to make or cause to be made, full, true, and correct entries in such accounts, records, memoranda, notification, or other materials; who knowingly removes any such documentary evidence out of the jurisdiction of the United States; who knowingly mutilates, alters, or by any other means falsifies any such documentary evidence; or who knowingly refuses to submit any such documentary evidence to the Secretary for inspection and copying shall be guilty of an offense against the United States, and upon conviction thereof shall be fined not more than $5,000, or imprisoned for not more than three years, or both. (C) Any person who forcibly assaults, resists, opposes, impedes, intimidates, or interferes with any person while engaged in or on account of the performance of his official duties under this Act shall be fined not more than $5,000, or imprisoned not more than three years, or both. Whoever, in the commission of such acts, uses a deadly or dangerous weapon shall be fined not more than $10,000, or imprisoned not more than ten years, or both. Whoever kills any person while engaged in or on account of the performance of his official duties under this Act shall be punishable as provided under sections 1111 and 1112 of title 18, United States Code. (b) (1) Any person who violates section 5 of this Act shall be liable to the United States for a civil penalty of not more than $2,000 for each violation. No penalty shall be assessed unless such person is given notice and opportunity for a hearing before the Secretary with respect to such violation. The amount of such civil penalty shall be assessed by the Secretary by written order. In determining the amount of such penalty, the Secretary shall take into account all factors relevant to such determination, including the nature, circumstances, extent, and gravity of the prohibited conduct and, with respect to the person found to have engaged in such conduct, the degree of culpability, any history of prior offenses, ability to pay, effect on ability to continue to do business, and such other matters as justice may require. (2) Any person against whom a violation is found and a civil penalty assessed under paragraph (1) of this subsection may obtain review in the court of appeals of the United States for the circuit in which such person resides or has his place of business or in the United States Court of Appeals for the District of Columbia Circuit by filing a notice of appeal in such court within 30 days from the date of such order and by simultaneously sending a copy of such notice by certified mail to the Secretary. The Secretary shall promptly file in such court a certified copy of the record upon which such violation was found and such penalty assessed, as provided in section 2112 of title 28, United States Code. The findings of the Secretary shall be set aside if found to be unsupported by substantial evidence. (3) If any person fails to pay an assessment of a civil penalty after it has become a final and unappealable order, or after the appropriate court of appeals has entered final judgment in favor of the Secretary, the Secretary shall refer the matter to the Attorney General, who shall recover the amount assessed in any appropriate district court of the United States. In such action, the validity and appropriateness of the final order imposing the civil penalty shall not be subject to review. (4) The Secretary may, in his discretion, compromise, modify, or remit, with or without conditions, any civil penalty assessed under this subsection. (c) In addition to any fine, imprisonment, or civil penalty authorized under this section, any person who was convicted under subsection (c) or who paid a civil penalty assessed under subsection (b) or is subject to a final order under such subsection assessing a civil penalty for any violation of any provision of this Act or any regulation issued under this Act may be disqualified by order of the Secretary, after notice and an opportunity for a hearing before the Secretary, from showing or exhibiting any horse, judging or managing any horse show, horse exhibition, or horse sale or auction for a period of not less than one year for the first violation and not less than five years for any subsequent violation. Any person who knowingly fails to obey an order of disqualification shall be subject to a civil penalty of not more than $3,000 for each violation. Any horse show, horse exhibition, or horse sale or auction, or the management thereof, collectively and severally, which knowingly allows any person who is under an order of disqualification to show or exhibit any horse, to enter for the purpose of showing or exhibiting any horse, to take part in managing or judging, or otherwise to participate in any horse show, horse exhibition, or horse sale or auction in violation of an order shall be subject to a civil penalty of not more than $3,000 for each violation. The provisions of subsection (b) respecting the assessment, review, collection, and compromise, modification, and remission of a civil penalty apply with respect to civil penalties under this subsection. (d) (1) The Secretary may require by subpena the attendance and testimony of witnesses and the production of books, papers, and documents relating to any matter under investigation or the subject of a proceeding. Witnesses summoned before the Secretary shall be paid the same fees and mileage that are paid witnesses in the courts of the United States. (2) The attendance of witnesses, and the production of books, papers, and documents, may be required at any designated place from any place in the United States. In case of disobedience to a subpena the Secretary, or any party to a proceeding before the Secretary, may invoke the aid of any appropriate district court of the United States in requiring attendance and testimony of witnesses and the production of such books, papers, and documents under the provisions of this Act. (3) The Secretary may order testimony to be taken by deposition under oath in any proceeding or investigation pending before him, at any stage of the proceeding or investigation. Depositions may be taken before any person designated by the Secretary who has power to administer oaths. The Secretary may also require the production of books, papers, and documents at the taking of depositions. (4) Witnesses whose depositions are taken and the persons taking them shall be entitled to the same fees as paid for like services in the courts of the United States or in other jurisdictions in which they may appear. (5) In any civil or criminal action to enforce this Act or any regulation under this Act a horse shall be presumed to be a horse which is sore if it manifests abnormal sensitivity or inflammation in both of its forelimbs or both of its hindlimbs. (6) The United States district courts, the District Court of Guam, the District Court of the Virgin Islands, the highest court of American Samoa, and the United States courts of the other territories, are vested with jurisdiction specifically to enforce, and to prevent and restrain violations of this Act, and shall have jurisdiction in all other kinds of cases arising under this Act, except as provided in subsection (b) of this section. (e) (1) The Secretary may detain (for a period not to exceed twenty-four hours) for examination, testing, or the taking of evidence, any horse at any horse show, horse exhibition, or horse sale or auction which is sore or which the Secretary has probable cause to believe is sore. The Secretary may require the temporary marking of any horse during the period of its detention for the purpose of identifying the horse as detained. A horse which is detained subject to this paragraph shall not be moved by any person from the place it is so detained except as authorized by the Secretary or until the expiration of the detention period applicable to the horse. (2) Any equipment, device, paraphernalia, or substance which was used in violation of any provision of this Act or any regulation issued under this Act or which contributed to the soring of any horse at or prior to any horse show, horse exhibition, or horse sale or auction, shall be liable to be proceeded against, by process of libel for the seizure and condemnation of such equipment, device, paraphernalia, or substance, in any United States district court within the jurisdiction of which such equipment, device, paraphernalia, or substance is found. Such proceedings shall conform as nearly as possible to proceedings in rem in admiralty. Whenever the Secretary believes that a willful violation of this Act has occurred and that prosecution is needed to obtain compliance with this Act, he shall inform the Attorney General and the Attorney General shall take such action with respect to such matter as he deems appropriate. (a) The Secretary, in carrying out the provisions of this Act, shall utilize, to the maximum extent practicable, the existing personnel and facilities of the Department of Agriculture. The Secretary is further authorized to utilize the officers and employees of any State, with its consent, and with or without reimbursement, to assist him in carrying out the provisions of this Act. (b) The Secretary may, upon request, provide technical and other nonfinancial assistance (including the lending of equipment on such terms and conditions as the Secretary determines is appropriate) to any State to assist it in administering and enforcing any law of such State designed to prohibit conduct described in section 5. The Secretary is authorized to issue such rules and regulations as he deems necessary to carry out the provisions of this Act. No provision of this Act shall be construed as indicating an intent on the part of the Congress to occupy the field in which such provision operates to the exclusion of the law of any State on the same subject matter, unless there is a direct and positive conflict between such provision and the law of the State so that the two cannot be reconciled or consistently stand together. Nor shall any provision of this Act be construed to exclude the Federal Government from enforcing the provision of this Act within any State, whether or not such State has enacted legislation on the same subject, it being the intent of the Congress to establish concurrent jurisdiction with the States over such subject matter. In no case shall any such State take any action pursuant to this section involving a violation of any such law of that State which would preclude the United States from enforcing the provisions of this Act against any person. On or before the expiration of thirty calendar months following the date of enactment of this Act, and every twelve calendar months thereafter, the Secretary shall submit to the Congress a report upon the matters covered by this Act, including enforcement and other actions taken thereunder, together with such recommendations for legislative and other action as he deems appropriate. There are authorized to be appropriated to carry out this Act $125,000 for the period beginning July 1, 1976, and ending September 30, 1976; and for the fiscal year beginning October 1, 1976, and for each fiscal year thereafter there are authorized to be appropriated such sums, not to exceed $500,000, as may be necessary to carry out this Act. NOTE: This copy of the Horse Protection Act is Provided for information only. Before relying on any portion of the Act as it appears here, reference should be made to the official report of the Act in the United States Code (15 U.S.C. §§ 1821­1831).